We specialise in helping clients move to Sweden from the UK and have extensive knowledge of the best routes available. Schepens provide cost-effective removals to Sweden, European and international removals service — without compromising the quality of service upon which we have built our reputation. Schepens make moving to Sweden easy! With more than 100-years of expert experience, our talented team understand the logistics and with strong local knowledge of Sweden, have the skills and knowledge to make your move go off without a hitch. Offering a range of optional services including storage, packing and insurance we make your move to Sweden simple and stress-free! Why use Schepens for removals to Sweden? Schepens are a family-run company — we take great pride in our reputation and the quality of service we provide. We has a vast amount of experience with international removals and helping customers to relocate to Sweden. Our friendly staff are all highly qualified and very experienced. All movers are trained to British Association of Removers standards — they will move your possessions safely and efficiently. Our vehicles are designed to keep your possessions as safe as possible throughout the journey to and from Sweden and are fully alarmed. If you take advantage of our packing service, your possessions will be wrapped in the appropriate packing materials and placed in very sturdy packing boxes. We have helped many clients relocate to Sweden and understand the most efficient way to move your possessions to Sweden from the UK. Due to the heavy volumes in traffic we transport, we currently offer a regular service to most destinations and we are therefore able to provide more economical rates than other UK movers without compromising our service. Because we help so many people relocate to Sweden, we can offer better value for money than other international removals companies. We use a fleet of dedicated articulated vehicles for removals to Sweden. Our vehicles run on air ride suspension and boast an adjustable baring system, which ensures little or no movement of vehicle contents. These bars also enable us to create partitions between consignments which prevents cross contamination. Our vehicles are alarmed, offering additional security and peace of mind. All aspects of the journey to Sweden are fully insured, including workers, vehicles and the items being transported. You can rest easy knowing that your valuable possessions are fully covered if there is an accident during the journey. There is also extended liability cover available to protect against damage to third parties. It is crucial to pack fragile items appropriately for international removals because of the duration of the journey and the sometimes rough conditions encountered during the move. Our movers have performed hundreds of international moves and understand how to pack fragile items to ensure they make it to the destination safely. We use high-quality packing materials including durable cardboard boxes. Stockholm, Gothenburg, Malmo, Uppsala, Vasteras, Orebro, Karlstad, Linkoping, Helsingborg, Jonkoping, Norrkoping, Lund, Umeå, Gavle, Boras, Skara, Eskilstuna and Sodertalje. Moving abroad is a step that thousands of Brits make every year. Of those, an increasing proportion are choosing a new life in Scandanavia . Life in Sweden can be markedly different from the UK; because of this, we have created this guide, to help new expats settle in. Schepens is a leading provider of part load removals to Sweden. Our 4th-generation, family-owned business has helped hundreds of clients move to Sweden over the years and we know the country well. We have established a reputation for providing reliable and affordable European removals. All clients receive highly detailed quotes that are perfectly matched to the their unique requirements. We specialise in performing part load removals to Sweden, which are more affordable and perfect for clients with a small amount of cargo. Removals to Sweden that use the road network are carried out with vehicles from our modern fleet. They are specialised removal trucks that feature air ride suspension and an adjustable barring system to remove the risk of cross-contamination during the journey. CONTACT US TODAY ON 01794 323558 TO GET A FREE, NO-OBLIGATION QUOTE! A part load removal combines cargo from multiple clients to fill a large removals truck or cargo container. It can make moving much more affordable and is particularly useful for clients with a small amount of cargo. If you have decided to use our professional packing service, the first step of a part load removal involves our removers carefully wrapping your possessions and placing them into durable moving boxes. Your cargo is then transported to one of our warehouses in preparation for your part load removal to Sweden. Once there is enough cargo to fill an entire removals truck or shipping container, your cargo is combined onto pallets and secured using high-quality packing tape. This is to prevent cargo from moving in the container during the journey. All cargo is clearly labeled, inventoried, and photographed before being placed into the container. Each cargo pallet is secured to the truck or cargo container using packing straps. The cargo is then delivered directly to your home or place of business, where it is unloaded by our skilled removers. WHY USE PART LOAD REMOVALS TO SWEDEN? Part load removals to Sweden are significantly cheaper compared to full load removals. This is because transportation costs are shared between multiple clients. Part load removals are an excellent choice for clients who only have a small amount of cargo — they are perfect for anyone moving a small business, flat or small house. They are also useful for clients on a limited budget. Because it can take some time to organise a part load removal, they are usually reserved for non-urgent removals. WHY USE SCHEPENS PART LOAD REMOVALS TO SWEDEN? Schepens ships a large amount of cargo to Sweden each year. This allows us to obtain bulk discounts from fuel providers, airlines, and shipping companies. We pass those discounts onto our clients, making us one of the most affordable options available. 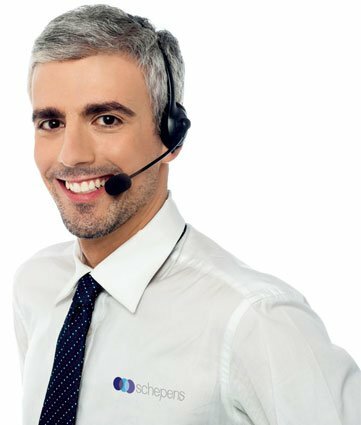 Schepens is a company that you can trust! Our family-owned company has been in business for more than 100 years. We have performed thousands of removals to Sweden and have many satisfied customers. Don’t risk having your possessions moved by an inexperienced company — use Schepens! We offer clients 100% obligation-free quotes. Each quote is uniquely tailored to the client’s specific requirements. This approach ensures that you only receive the services you require — saving you a great deal of money! Because we help so many clients move to Sweden, we can offer a regular part load removals service. You can make substantial savings by using this option! All removals to Sweden are supervised by one of our skilled move coordinators. They are talented staff members who have performed many removals to Scandinavia. They will explain every step of the removals process and answer any questions you may have. Your move coordinator will also provide advice on choosing an insurance plan, picking a delivery schedule and much more. Their goal is to make your move to Sweden simple! All European removals are performed in accordance with our very strict security procedures. All cargo is itemised, photographed and closely tracked with electronic surveillance. Removal vehicles have security alarms and all staff members are security checked. We are a very busy removals company that helps thousands of clients each year. Our removers frequently perform removals to Sweden, which has given them strong local knowledge. They know the best routes to take, which can save you time and money. Our removers are trained to British Association of Removers standards. Schepens are very careful about whom we employ. We only choose talented, hard-working individuals with the right attitude to work in the removals industry. Our removers are also trained to British Association of Removers standards. That means they understand how to correctly pack cargo and provide the client with all of the information they require for the move. The United Kingdom’s decision to leave the EU will significantly impact how the UK relates to other European countries. It will cause changes to how the UK handles trade, business relations, and of course, migration. If you are moving to Sweden after Brexit, you will find that the migration process is somewhat different. Precisely how it will change is still being negotiated by politicians and bureaucrats, but you can expect to see a bit more paperwork involved. You may also notice additional restrictions on what you can do while living in Sweden post-Brexit and which social services you are able to access. Fortunately, moving to Sweden will still be a relatively simple process overall. This guide shares the current process for moving to Sweden after Brexit. It is expected that British citizens and British subjects will retain the right to enter Sweden without a visa after Brexit. A valid British passport will still be required when entering or exiting the country. You will have to ensure that your passport will valid for the duration of your time in Sweden. Currently, European Economic Area (EEA) citizens have the right to study, work, and live in Sweden without a residency permit — as long as you can demonstrate that you can support yourself economically. You won’t have to apply for a residency permit with the Swedish Migration Board. The UK will be also be leaving the EEA when it leaves the EU — which may happen as soon as the 29th March 2019. The new arrangements for UK residents who wish to live and work in Sweden is still being negotiated. However, it is expected that all UK residents will require a residency permit to stay in Sweden for longer than 90 days after Brexit. Copies on the pages of your passport or national ID card showing your citizenship and validity. Consent from the other guardian, if not accompanied by Sweden, orproof of lonely custody For example, it may be a court decision, or death certificate if the other parent is dead. Read more about the process for obtaining a residency permit here. The process of obtaining citizenship in Sweden can take up to 12 months. Many UK citizens are moving to Sweden now, so they can begin working in the country before EEA arrangements are removed by Brexit. This may give them the opportunity to remain in Sweden under existing EEA arrangements for a number of years. If you have managed to obtain residency and you intend on staying in the country for more than a year, you will have to obtain a Swedish ID number (Personnummer) from the government. This ID number will allow you to perform transactions with the government, banks, real estate agents and other institutions. While the UK is a part of the EEA, any person working, studying or self-sufficient can obtain a personnummer. After Brexit, only people who have successfully obtained a residency permit will be eligible. You can find more information at (www.skatteverket.se). If you are working in Sweden, your employer can help you obtain a personnummer. Currently, a European Health Insurance Card (EHIC) allows temporary visitors from EEA countries to obtain public healthcare while in Sweden. Temporary visitors will also require travel insurance. People who have obtained residency can gain access to low cost healthcare at any public medical facility. The most affordable removals to Sweden – We are a very large company with storage depots and processing facilities across the European continent. The scale of our operation helps us to deliver an efficient and affordable service. Schepens has an office in Sweden – Our company performs so many removals between Sweden and the UK that we decided to open an office in Jönköping. Having an office in Sweden helps to improve the reliability and efficiency of our Swedish removals service. All removers are trained to British Association of Removers standards – Our removers are friendly, hard working and highly trained. All removers follow the standards set out by the British Association of Removers. Modern fleet of clean and reliable vehicles – Our UK to Sweden removals service uses state-of-the-art road trains. They are fitted with air ride suspension and an adjustable barring system to keep your cargo safe during the journey. All removals are managed by a skilled move coordinator – Each removal is overseen by one of our talented move coordinators. They will answer your questions, provide you with useful advice and keep you updated on the progress of the removal. Professional packing services – Our UK to Sweden removers will pack your smaller possessions for you, ensuring they are adequately protected during your removal to Sweden. Storage services – We have multiple storage facilities across Europe. Our rates are affordable and all facilities have a high level of security. for removals to Sweden – All removers and vehicles are fully insured. Clients are offered a range of cargo insurance policies and extended liability cover is available. Most British expats, particularly those from congested metropolises like London, are going to love driving in Sweden particularly because the roads are wide, there is very little traffic and most drivers on the road are friendly. The only major stipulation is that you’ll need a driving licence and must be above 18 years of age. If you are planning to move to Sweden, you have a car and would like to get on the road as soon as you get there, you must read our list of road rules, speed limits and driving norms you’ll need to follow in this marvellous country. A driving licence is mandatory for everyone looking to drive, expat or not. You may use your British licence as a legally valid document for a year. You will need to apply for a Swedish driving licence to be able to drive. The application involves a written, oral and visual test after which you will be issued the licence. You may submit your applications to the local offices of the Swedish National Road Administration. Standard speed limits of 40, 50, 60 and 70kmph in the city limits and 120 kmph in the highways are followed in Sweden. Almost 54 percent of Sweden is composed of natural preserves and wilderness, wherein you’ll find many animals on the road. Running them down, particularly an endangered species, is a punishable offence hence you are advised to look for “Warning: Animals Crossing” signs on highways. Sweden follows a maximum blood-alcohol percentage of just 0.02 percent if you’re driving a car, which is way lower than the percentages you’re probably used to in the UK. Thus, don’t drink and drive! You may overtake a vehicle from your left and drive alongside a vehicle on your right. You must take care not to drive closely behind vehicles and maintain a 50 metres safety triangle to prevent possible collisions on the road. It is crucial to wear seat belts for both the front and rear seats of your car. Children are also required to wear seat belts and infants must be seated in car seats. A peculiar rule in Sweden involves having the headlights and taillights of your car on all day and night, particularly in winter. Not many countries do that. Moreover, the Government recommends winter tyres to be used all year round. Trams are given more preference than other traffic, hence if you see a tram approaching, make way or stop where you are. Cities like Stockholm have congestion charges you will need to pay if you drive on the roads between 6.30 a.m. to 6.29 p.m. You will be charged between SEK 20 and SEK 60, depending on the size of your truck (or car). This however, only applies to cars having Swedish registrations. If you have a car you registered with the UK Government, you don’t have to pay any charge. There are a number of designated parking spaces in Swedish that either charges you by the day, hour or week (for long term car parking). Parking elsewhere in the city could lead to huge fines being imposed on you. One day of parking denotes parking time from 8 a.m. to 6 p.m. You must ensure you park only at the right side of the road. If you do not have a car, you may wish to look into the Swedish public transport system here http://yourlivingcity.com/essentials/transport-stockholm-guide/#.UZs-zEyyFn9. Sweden has an excellent schooling system, ranked 5th in the world by UNESCO, giving the country a 21% edge over Britain in terms of education. Basic schooling in Sweden is compulsory for children between the ages 7 and 16. As a British expat, you can choose to enroll your children into public schools, private schools or international schools. You have homeschooling options too, but they aren’t really recommended and you would have to cope with heavy regulations and scrutiny. Most children in Sweden are enrolled in voluntary day care and pre-schools when they are one year old. They continue in these schools until they are seven, then they are shifted to primary schools where they are exposed to basic education involving science, math, art and culture until they reach age sixteen. The gymnasium is the Swedish equivalent of the secondary school college in Britain where a student can pursue specialized programmes to graduate in or take up vocational courses. Education at the gymnasium isn’t mandatory but the State can officially push students to take up courses at the institute until they reach age twenty. After successful completion of a course at the gymnasium, students get a “degree”, which they can follow up with a master’s degree (usually a one or two year course) and thereafter earn their doctorate and get into research and development programmes. Before 1990, there were just a handful of privately run schools charging exorbitant fees. However, in 1992 the Government initiated the free school concept in Sweden and today, you have more than 900 schools (private, public and international) with state-of-the-art facilities provided within. If you’re considering basic schooling in Sweden, you can choose public or private schools. Most Swedish children go to public schools for free. The curriculum is designed by the Swedish National Government and it is usually taught in Swedish. To be able to study in a public school, you’ll require language proficiency tests in English (TOEFL or IELTS) and Swedish (TISUS). Private schools in Sweden are run by a group of people, an association or a society and don’t need to conform to the Swedish State syllabus, although many of them follow the same curriculum. The medium of instruction is mainly Swedish, though you do have teachers proficient in English and French too. Private schools have no “free education” obligation and may or may not charge you a fee. If they do, the fees could go up to 30,000 SEK a year. For British expats, the best option would be to enroll their children in international schools located everywhere in Sweden. The British International Primary School in Stockholm follows the UK standard syllabus and allows for flexibility in choosing subjects and courses. Since English is used as the prime medium for instruction, most expats have very little problems adjusting to the schooling of their children. The fees could go up to 49,000 SEK a year. Other international schools include the Norr Stockholm School and the English International School. For a thorough statistical comparison between the schooling systems of Britain and Sweden, you may want to visit http://www.nationmaster.com/compare/Sweden/United-Kingdom/Education. Sweden has an advanced healthcare programme, which is available to both citizens and emigrants in equal stead. Approximately 9 percent of the country’s GDP is dedicated to healthcare, which isn’t a lot when you compare it to other countries like the U.S. and UK. But the services provided with the limited funds available and the gradual increase in the average life span of most Swedish residents make Sweden a huge favourite with the British as far as relocation is concerned. Public institutes are far cheaper than private hospitals, however, there isn’t much differences in the services they provide. Since public healthcare is Government-sponsored, you will be charged about SEK 100-300 for each visit to a doctor, which is way more affordable than healthcare services in the UK. Furthermore, children and youngsters below 20 years are offered free healthcare benefits. The only problem with public hospitals is that you’ll need to wait quite a while before you’re granted an appointment with a specialist doctor. However, for emergencies, there are no queues and patients can instantly be rushed to hospital wards and get treated. Although dental care isn’t a part of the Swedish National Healthcare Scheme, there are dental care institutes in the country that charge you subsidized rates per consultation. Private hospitals are slowly catching up with public institutes, but without a lot of success. Like we mentioned before, the treatment quality is the same in both public and private hospitals, but the expenses are a lot more when you opt for private consultation. You however, are spared from the beeline and get instant treatment, even if you are not an emergency case. This is the only advantage that private hospitals have over public ones. Health insurances do not serve much of a purpose in Sweden, since healthcare is available at pretty reasonable rates and people don’t really fall sick a lot (we’ve no clue why but Sweden has the happiest and healthiest population in the world, so maybe that’s a possible reason). However, having a health insurance can save you time in queues and you get immediate preference over the others. Sweden has a myriad of pharmacies in all its towns and cities. Just look for the name plate that reads “Apoteket”. Most pills that are available only over the counter in Britain can be procured easily in chemist stores and Apotekets in Sweden for low costs. Most chemists are open from 8 a.m. to 6 p.m. every day – Sundays and public holidays included, but the ones near hospitals and health care centres are available 24 hours. Emergency Service: If you have a healthcare emergency, you can call either 1777 or 999 to get immediate response. Sweden is a large country in Northern Europe where you can experience a diversity of nature and culture. The northern part of the country is mostly wilderness and the people live near rivers and valleys. The majority of the country’s population is in the southern part of the nation. The celebration of festivals and holidays in Sweden are best preserved in their traditional way at those places which are heavily populated. Many of the older festivals of the Swedes have a religious background. You’ll notice a strong influence of the church on the culture and society. New Year’s Eve in Sweden is not at all a carnival type occasion such as you’ll find in many other countries. People here invite their friends to their homes to celebrate the occasion and spend the evening with them. There is a tradition in Stockholm that people will gather at midnight at Skansen and hear a reading of, “Ring out the old, ring in the new.” In the 1920’s, with the invention of radio, this reading was broadcast all around the country. This tradition is still being carried out via television these days, yet another reason why Swedes tend to stay at their homes on this day. Of course, some Swedes do venture out to celebrate the new year. You will find filled restaurants and fireworks in some areas, but in general most people prefer to stay at home on this day. There is also a tradition of placing molten metal in a bowl filled with cold water. Legend has it that the shape of the resulting clump will contain a clue of what lies in store for you in the coming year. This is the longest holiday of the year with schools giving children a break of up to two weeks. The peak of the celebration is on December 24th, and that is followed by two more holidays: Christmas Day on the 25th, and Boxing Day on the 26th. During the festivities there are several traditions that are respected. The most prominent are the Christmas meal, the Christmas tree, and a visit to a Christmas gnome or the Swedish tomte. The Christmas tree is decorated in beautiful ways as in any part of the world. Most people take time off work for the holiday. The Christmas feast that takes place includes sea foods, rice porridge, ham and lutfisk. After the meal has ended, a visit to the Christmas gnome is a must. Traditionally the Swedish tomte has been credited for looking after the family and livestock. Another occasion in Sweden which sees plenty of festivities is the Midsummer. This is when the days are longest in Sweden. According to tradition, on the morning of Midsummers people decorate the churches, homes, cars, auditoria, and dancing pavilions with flowers and leaves. There is a maypole in every village and town in Sweden, and in the mid-afternoon people gather around them and a large cross decorated with leaves and flowers is raised in the center of the playground or village square. After this a dance begins. Many of the people living in the cities leave for smaller towns to enjoy the festivities during this time. One of the tasks enjoyed least by most people is paying bills. If you have just moved to Sweden, you’ll likely find that you’ll have a hard time paying your bills, especially without some guidance on how to do it. Paying bills in Sweden is quite different from how bills are paid in the UK or any other country. All bills have to be paid through bank giro. However, you will be required to have an account with the bank so that you can make online payments, or else you will have to pay a certain fee for the bank to make the payments for you. The charges will differ from one bank to another. For example, the bank of Nordea will charge non-customers about 150 SEK to pay a bank giro, and customers will be charged about 80 SEK for the same service. In order to avoid such heavy charges, you can also make your payments at the ForEx office. Their charges are much less as those charged by the giro and you will not wait in line for quite so long either. Another way that you can easily pay your bills in Sweden is through telephone banking. However, be forewarned you’re required to have an account in order to pay your bills over the phone. The moment you open an account with any bank in Sweden, you will be given a device that will allow you to make payments online. The device looks a bit like a calculator and you will be required to insert your ATM card in order to access your bank account and make the necessary payments. You will be provided with instructions, thus it will be very simple to use it. The best thing about paying your bills through the telephone is that you can do it straight from your house and the devices are very secure. In order to learn how the device works you can ask your bank to give you more details when opening your account. Once you have opened a bank account in Sweden, paying your bills is relatively simple and you won’t have to worry about the high charges paid to the banks by non-customers. One of the most important things is that you maintain consistency in paying your bills. However, if you feel that the whole process is time consuming, there are quite a number of companies in Sweden that you can hire to pay the bills on your behalf. It will cost you, but at least you will be sure that all your bills are taken care of in time so you don’t run into any difficulties. It is advisable that you first go online and see the different services and facilities offered by the banks in Sweden in order to decide which bank to open an account with. Paying your bills through wire transfer is one of the most common and simple ways you can pay your bills. Sweden provides great opportunities for employment. 30 percent of jobs are in the public sector with positions in healthcare, education and administration. The private sector offers jobs in the automotive industry, clean technologies, financial services, information and communications technologies, retail, travel and tourism. With one of the highest standards of living in the world, long-term job security and equal opportunities, Sweden has become a very attractive option for many British expats. Sweden has a low unemployment record. So there are plenty of jobs around, especially in the private sector. There’s a great demand for people with experience in the IT, engineering, public health and education sectors. Teaching English as a foreign language is also an option for English native speakers. One of the best places you can look for work is online. Just search for job vacancies in Sweden on the internet and you will find plenty of offers or you can go directly to a big company website and look for openings on their homepage. English is widely spoken, but knowing some Swedish will increase you changes of finding a job. Spend some time learning it before leaving the UK to have an advantage over other applicants. As a general rule, EU and EEA nationals are entitled to work in Sweden without applying for a work permit in advance. So as a British expat, you can start working as soon as you arrive. However, you need to acquire a ‘personummer’. This is a 10-digit registration number that is necessary to do certain things in Sweden like opening a bank account among others. Additionally, you will need to register your residence at the Swedish Migration Board, obtain a tax number and social security number. Please note that special permits or certifications are required to start working as a medical professional, a public school teacher, a lawyer or an electrical contractor. Sweden has an above-average salary compared to other countries of the EU. However, a large percentage of it is taxed. On the other hand, the taxes go to the funding of high quality education, healthcare, childcare and security that you will all enjoy once you start working. Moreover, Sweden’s average workplace is under what is called ‘flat organizations’ which means they have very little hierarchy. Without a doubt, the country’s economy is very stable and jobs can be waiting for you as you step your foot in Sweden. However, to ensure your chances of employment, you must be equipped with the right knowledge, skills and experience that industries in Sweden are looking for. If you’re thinking of moving to Sweden, business news for 2018 is good. Forbes recently named it as the top country in the world to do business with. It has also achieved top ranking in the Sustainable Competitiveness Index, and it’s considered the number one location for tech start-ups in the world. Sweden is a growing economy, with a decidedly entrepreneurial outlook. It’s safe to say that moving to there to work is a great option right now. Moving abroad is never just about business; it’s also a lifestyle choice which has to take into account the culture, location, and family-friendliness of the country you’re moving to. Expats who’ve taken the plunge talk about Sweden as a safe place to live, a great place to raise children, and culturally inclusive, but they note that each city has its own challenges and advantages. So here’s our whistle stop guide to the 6 best cities to live and work in Sweden. Stockholm – Sweden’s beautiful capital city is distributed across 14 islands which form part of a stunning archipelago. It’s a relatively small population of around 1 million. The cost of living is high, but finding a job is relatively easy – especially if you speak Swedish. Housing is in high demand but it’s a great, sociable city to live in, with equal emphasis on quality of life and sustainability. Malmö – one of the largest cities in Sweden, and known to Brits as one of the twin locations in The Bridge. It’s known for having the warmest climate in the country, and for being a melting pot of different cultures. Malmö has something of a hipster reputation but it’s also one of major economic hubs in Scandinavia. Digital media and biotechnology are big employers in the city. Uppsala – 30,000 of Uppsala’s 180,000 inhabitants are students, so this is very much a university town, with a reputation for great nightlife, and numerous cultural events throughout the year. It’s the 4th largest city in Sweden and close enough to Stockholm to commute. Uppsala university and the city council are the main employers but with the Swedish economy booming, Uppsala’s job opportunities are growing. Gothenburg – know as ‘Sweden’s largest village’, Gothenburg was built on industry and trade but it now balances its historical culture with academe, tourism and high tech SMEs and start ups. The Liseberg entertainment park draws tourists to the city throughout the year, and the city’s two universities keep the culture diverse. Despite its quirkiness, however, Gothenburg is still a major port, inviting significant industrial investment. Solna – Solna sells itself to newcomers as “a city of the future in the making”. It’s close to Stockholm and – given the housing shortage in the capital – it’s a popular choice for commuters. Whilst you could see it as a suburb, the town is determined to build its own economy and identity. It’s already home to over 8,500 local businesses, and there are lots of inducements for new businesses to invest in the area. Västerås – one of the oldest cities in northern Europe, situated close to the beautiful Lake Mälaren, this is an industrial city that is currently re-inventing itself in order to attract newcomers. Just 100 kilometers from Stockholm the city is one of the major logistical centres in Sweden and industry continues to play a major part in the economy, making this a great place to find work. We’ve been moving families, young professionals and students to locations across Sweden for over a century now, and we know the country well. We ship there regularly, and we recently opened a new depot in Jönköping. This means that we are able to provide flexible scheduling to our clients moving to Sweden, and offer extremely competitive prices on our services. Over the past 100 years we have gained a wealth of experience when it comes to European removals. Many of our clients are managing an overseas move for the first time, and they look to us to help them with logistics, organisation, and the admin involved in shipping your goods abroad. Every client is allocated a dedicated Move Co-ordinator who will help with the creation of a comprehensive removals plan listing all deadlines that need to be met. We know that every move is unique, which is why we tailor our removal package to meet the needs of each individual client. Early on in the process, your Moving Co-ordinator will work with you to choose the services you require as part of your removals quote. Packing – our professional packers are all BAR trained to the highest standard, and can save you the stress and time involved in packing up you house. Our packers use high quality packing materials, and label boxes meticulously for easy unpacking. They will also create a detailed inventory. Insurance – we insure all your goods whilst they are being shipped, but we can also add extra peace of mind. Schepens can arrange for accidental damage, and extended liability cover. Storage – many of our clients use our storage facilities for safekeeping furniture and goods they don’t want to ship. We offer a door-to-door service: Your container is delivered to your location when you need it; our packers can help you to load it. The container is then sealed and transported to our secure managed storage facility. We pride ourselves on a service that reduces the stress of moving for our clients, and creates a seamless removals process from first phone call through to unpacking in Sweden. We’ve got a great track record for successful moves to Sweden, and our removals team have first hand knowledge of cities and towns across the country. If you’re thinking of moving to Sweden, why not call Schepens today to find out how we can support every step of your removals process? We are perfectly positioned to help with the logistics of your move throughout Sweden.